Below is a list of free campsites in NZ along with a few locations for free overnight parking for self contained vehicles. Many of the campsites are run by the Department of Conservation (DOC), they also run campsites where nominal fees apply. Please note that facilities at free DOC sites are minimal - basic toilets (flush if you're lucky), water supply may be from a stream or a tap - boil all drinking water. Access to sites may be via gravel road. We recommend you take your own toilet paper, torch, gas supply for cooking/boiling water, and/or your own drinking water. We also recommend that you visit i-SITES or DOC offices in the relevant areas to double check that sites are still operational, especially after bad weather. Please leave only footprints, be prepared to take your rubbish away, and leave the campsites clean and tidy for others to enjoy. Also please dispose of your waste responsibly, if you don't have a toilet in your vehicle please stay somewhere with toilet facilities. Toitu te whenua - leave the land undisturbed. Freedom camping information from DOC. Rankers have reviews for many of the free camping sites below. Blog posts about holiday parks where we've stayed and paid. 65 non powered sites, insect repellent recommended, and note seasonal restrictions. Freedom camping information from Whangarei District Council. The only DOC campsites are in the Hauraki Gulf Islands area (not free). For low cost camping options see Auckland Council. Boat Club Reserve, Kaiaua - Free overnight parking for vehicles (non self contained as well as self contained). Rays Rest Reserve, Miranda - Free overnight parking for self contained vehicles only, maximum 2 night stay. Freedom camping on the Coromandel. All DOC campsites in the Coromandel area charge from $10 per adult per night. Free camping information for Aniwhenua Reserve, Galatea, and overnight parking information for self contained vehicles in the Whakatane District. Humphries Bay Campsite is free for one night stays, all other DOC campsites in the Bay of Plenty area charge from $6 per adult per night. Pitch your tent for free or park your van for free ($5 charge if you require power). There are no kitchen or shower facilities but you can use the public toilets in the Roadhouse (open 6.30am - 8.30pm seven days). DOC site, noted as a good hunting base. Camping information for the South Waikato. Kawerau - Freedom camping in Kawerau. Information about the very popular Reid's Farm Recreation Reserve, and other free camping options in the Taupo, Turangi and Mangakino area. There are 9 free DOC campsites in the Kaimanawa Forest Park. There is free camping at Ruatiti Domain. Ruapehu District Guide to Freedom Camping. There are two free DOC campsites on Okahu Road. 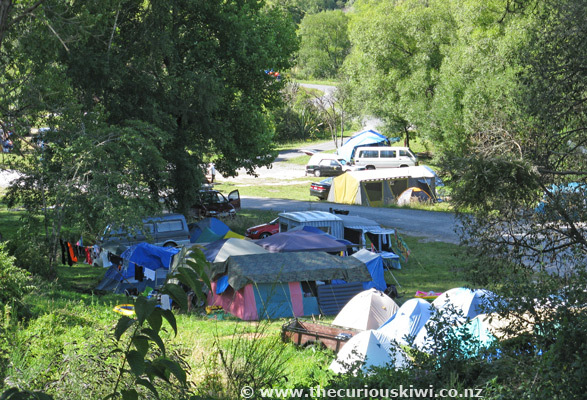 There are three tent sites next to Minginui Stream. Note that DOC advise no dogs are allowed as there are kiwis in the area. Other free DOC campsites in the area - Orangihikoia campsite, Te Taita O Makoro campsite, Rosie Bay and Te Pakau. Gisborne District Council issue permits for freedom camping, from $16 for 2 nights - $66 for 28 nights. Careful driving needed to reach the campsite, 16 tent sites. Listed as a remote campsite. Camp by the river with the cows at Glenfalls. A gravel road takes you to the Mangatutu Hot Springs and DOC campsite. (Rankers reviews). Reserves in the Hastings District that allow certified self contained vehicles to stay overnight for a maximum of two nights. 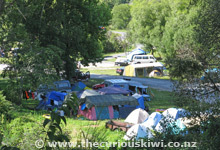 Camp beside the Waikare River and walk to the beach from Waikare River Mouth campsite. (Additional free DOC sites in the area, sturdy vehicles may be required). There are no DOC campsites free or otherwise in the Taranaki area. See Camping in New Plymouth via New Plymouth District Council. There are some cheap camping options in South Taranaki including Waitotara Beach (Wai-inu Beach), from $5 per site ($10 per site 1 December - end of February). 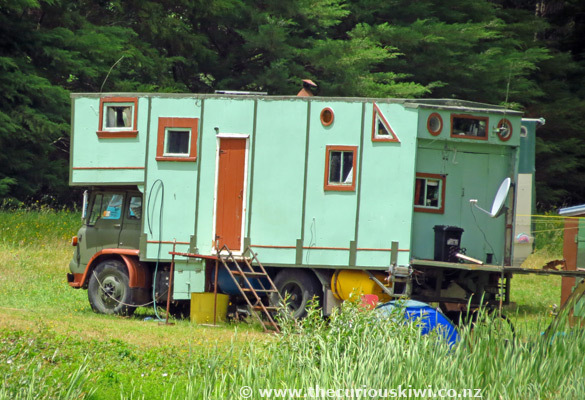 If you are travelling the Forgotten World Highway (Stratford - Taumarunui) in a self contained vehicle you are welcome to stay over night for free at the Ohura Cosmopolitan Club (link to their Facebook page). There are 24 tent sites. There are 4 tent sites, next to the Pohangina River. Other DOC free sites - Kawhatau (restricted access) and Simpsons Domain. Manawatu District Council - Londons Ford and Bartletts Ford are free camping areas - toilets are long drops. There is a charge to camp at Vinegar Hill ($15 for two adults & 2 children), and Totara Reserve Regional Park - onsite caretaker will advise fee. Rankers reviews for the DOC campsite 9km north of Otaki. Free camping is available at South Wairarapa District Council sites including Ngawi camping area and North Tora camping area. (Council are considering charging a small fee from 2014). Marlborough District Council camping information. Freedom camping information from Nelson City Council. There are 20 tent sites at the Cobb River DOC campsite (restricted access for some vehicles). There are 10 tent sites at the old Kawatiri Railway Station DOC campsite (disabled access toilet). Update: Kawatiri campsite has changed to a Standard site and is no longer free. Charges are $6 per night for adults, and $3 per night for children (5-17 years), pay at the self registration kiosk. Set up camp next to the beach at Robin Hood Bay. There are 6 tent sites at Okiwi Bay (wheelchair accessible). Coldwater Stream and Mill Flat are other free DOC camping sites but they aren't accessible to most vehicles. Freedom camping information from Kaikoura District Council. 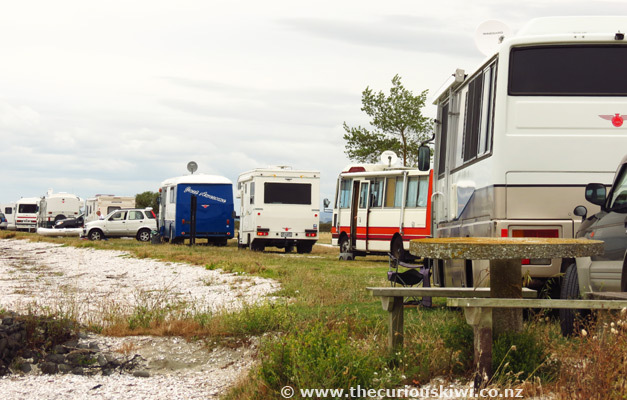 Freedom camping in the Waimakariri for self contained vehicles. Camp near the river mouth. Note: As per the comment below this is not a free camp but there are toilets and clean water (no power), family sites are $10 per night. Camp next to Grey River, note access issues - 10 sites. (Loch Katrine is 81 kms northwest of Amberley, suitable 4WDs). Walking tracks will take you to waterfalls at Greyney's. Also see Klondyke Corner, 8kms from Arthur's Pass Village. Noted as a popular spot for trampers - 20 tent sites. Walk along the Hawdon River - 20 sites. Camp beside Lake Pearson - 20 tent sites. Deer Valley is near Maruia Springs - 10 sites. Freedom camping in Aoraki/Mount Cook area for self contained vehicles. Camp next to Ahuriri River - 30 sites. A large flat camping area with 30 tent sites. Close to an old gold mining settlement - 8 sites. Freedom camping information from Dunedin City Council. There are 9 tent sites at the DOC campsite in St Bathans. (Raise a glass with the ghosts in 'Supernatural St Bathans'). Noted as an isolated campsite - 20 tent sites. Camp by a creek on one of the 6 tent sites. Camp among the remains of the Lindis Pass Hotel - 6 tent sites. Freedom camping sites in Central Otago - non self contained vehicles are welcome at Pinders Pond in Roxburgh. Freedom camping sites in Southland including Dunsdale Recreation Reserve, Haldane (Weirs Beach ) and Orepuki (Monkey Island). There are 20 tent sites at Thicket Burn, it's located 5km from New Zealand's deepest lake - Lake Hauroko. Comments to date: 9. Page 1 of 1. Thanks for the heads up Jan.
Lowburn Harbour , Central Otago now only allows fully self contained vehicles. Bendigo is over crowded and the toilets are overloaded. Don't go there. No free campsites I know of but DOC has Kinloch Campsite 27km from Glenorchy for $6 per adult per night. Mrs Woolly's in Glenorchy is advertised at $30 for 2 per night. For some reason I can't put in web addresses but they're found easily via Google. Hope this helps. 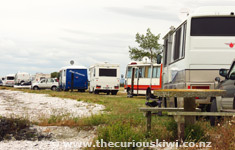 We freedom camped in a decalled Self-Contained RV right on the edge of Lake Taupo not far from the Marina. There are two parking lots. Only one has the sign for Freedom Camping. Admin: Thanks Grant, the sites are on Ferry Road I believe. I've amended the Taupo information above to include those and other sites listed on Great Lake Taupo's website about freedom camping. Thanks Jeremy, I added a link to DOC in there. Just to advise that your comment on Motunau Beach being a "Free Camp" is wrong. The Motunau Beach Ratepayers have maintained the area and charge $10 per night for a family site. No power on site but clean water and toilets are in the camp area.